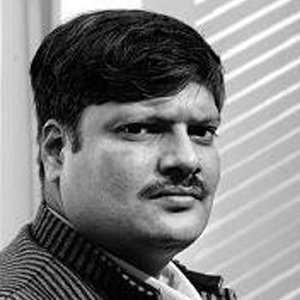 Himanshu is Associate Professor in Economics in the Centre for Economic Studies and Planning, School of Social Sciences, Jawaharlal Nehru University. Prior to this, he has taught at the Centre for Study of Regional Development, JNU. He is also visiting fellow at Centre de Sciences Humaines, New Delhi and Associate at India Observatory, LSE. He has also been a research fellow in economics at the Centre de Sciences Humaines and C R Parekh fellow at Asia Research Centre of the London School of Economics. His areas of research include issues related to poverty, inequality, employment, food security and agrarian change. 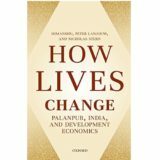 His current research interests revolve around measurement of poverty and inequality in India. He has been involved with various government committees including Expert Group on Measurement of Poverty (Tendulkar committee), National Statistical Commission and Ministry of Rural Development. Himanshu writes a fortnightly column on issues related to development in MINT. He has received the Sanjay Thakur Young Economist Award of the Indian Society of Labour Economics and Personnalité d’ Avenir of the French Ministry of Foreign Affairs. Himanshu received his PhD in Economics from Jawaharlal Nehru University. He is currently involved in three major research projects at CSH. He is leading the sixth round of survey of Palanpur, a small village in Moradabad district of Uttar Pradesh. This is a collaborative research with the London School of Economics. He is also involved in the multi-disciplinary research project NOPOOR. He has earlier been associated with the SHIVA project. Currently he is also evaluating the National Rural Employment Guarantee Act. This involves resurvey of 24 villages in Uttar Pradesh and Rajasthan.